Tomorrow is my kids’ last day of school! Yippee! Summer is officially here! I have never been more excited for summer than this year. It is time to kick back, sleep in, read trashy novels, hang by the pool for hours on end and get together with friends that we never seem to connect with during the busy school year. Tomorrow I’m picking up the kids (swimsuit on) and heading to the pool for some much needed play time, and that much needed glass of wine, or two. Summer in our house is all about burgers, salads and grilled foods. It’s hot, so I don’t like to spend too much time in the kitchen with the oven or stove on. When it comes to burgers, I prefer sauces rather than ketchup or mustard. My favorite sauce thus far is my cilantro lime mayonnaise. 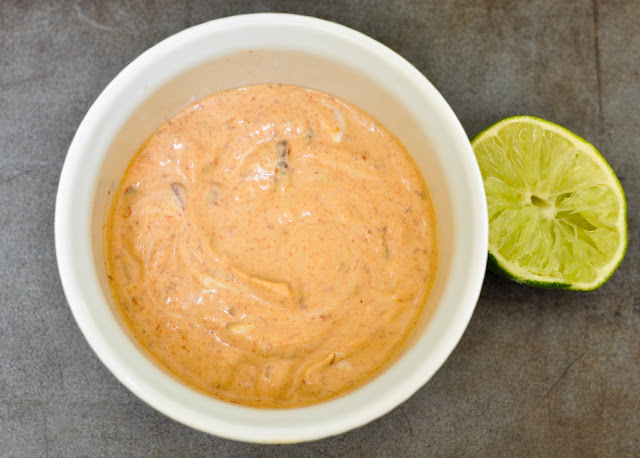 I wanted to try a different and spicier sauce for the buffalo burgers, so I found this chipotle mayonnaise recipe from Bobby Flay. This sauce is spicy, and John and I loved it paired with our burgers. The kids thought it was a bit too spicy, so next time I may cut back a bit on the chipotle pepper for them. If you’re making this for adults, then keep the sauce as is. I’m not going to show you how to cook buffalo burgers. I just wanted to throw out another meat to consider using the next time you make a burger. We love using buffalo meat in lieu of ground beef for most dishes, as buffalo has 70 to 90% less fat compared to beef, and 50% less cholesterol. It is also leaner than both pork and chicken, and has less calories than all three. On top of that, buffalo is higher in protein, iron and all the omega and amino acids. There are also no growth hormones, steroids or sub-therapeutic antibiotics used. You can research more on the health benefits of buffalo, if you want. I think for all of its nutritional benefits, buffalo meat is worth a try, wouldn’t you say? You can pick up buffalo pretty much at any grocery store or Whole Foods. We get a pound of buffalo and its plenty for 4 burgers. Buffalo meat is very filling so you don’t want your burgers to big. My favorite way to make up these patties is to put 1/2 cup of grated sharp cheddar cheese into the patties. It makes the burgers so juicy! 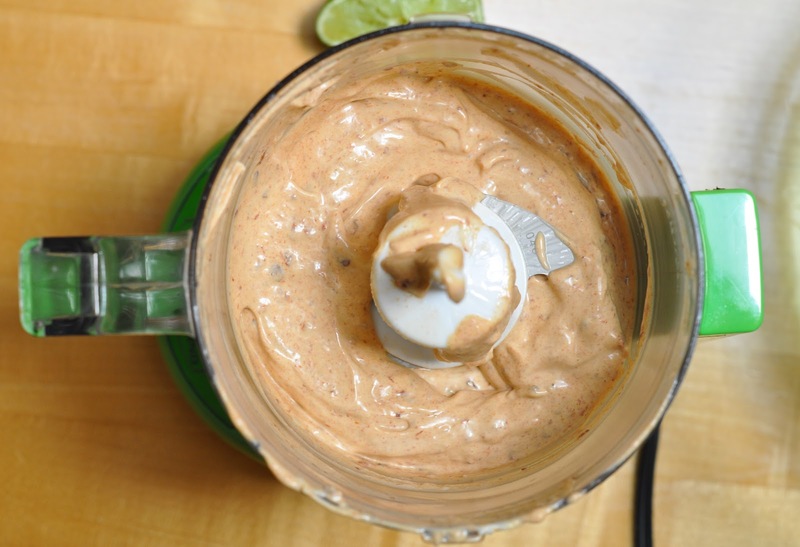 1 chipotle in adobo sauce – You can also use a 1 tablespoon of chipotle paste and omit both the chipotle as well as the 1/2 tablespoon adobo sauce as shown below. Note: If you want to cut the spiciness down, you can use 1/2 chipotle and use 1 1/2 teaspoons of adobo sauce. Try it like that and then if you want it spicier, add a bit more of each. 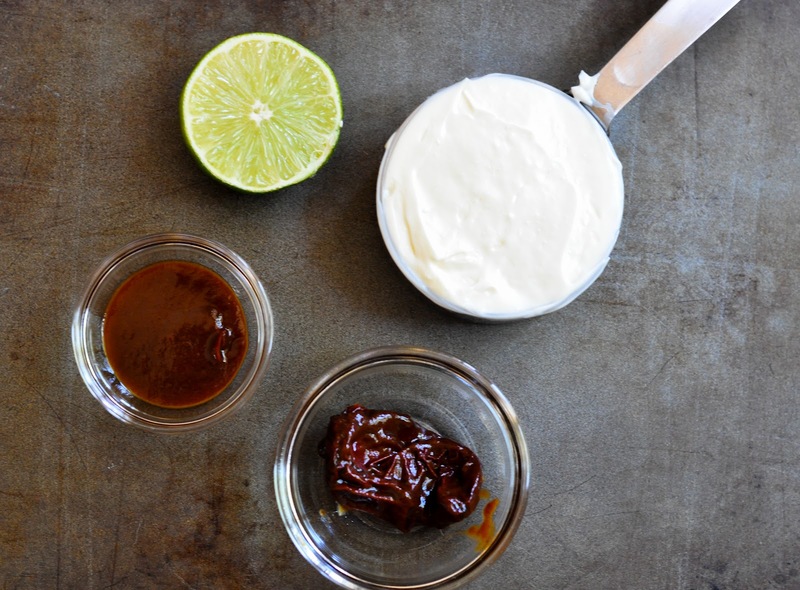 I also make this sauce using a chipotle paste as shown in the below picture. To me, it’s so much easier than opening up a can and dealing with the mess and hassle of mincing up tiny chiles. All you have to do is insert your measuring spoon and voila, you’re done. I also love that I can store the leftovers in the fridge and re-use it again and again. When I use the paste, all I have to do is stir the mayonnaise, chipotle paste and lime juice together in a small bowl, it saves cutting up an adobe chili as well as getting out the mini prep. 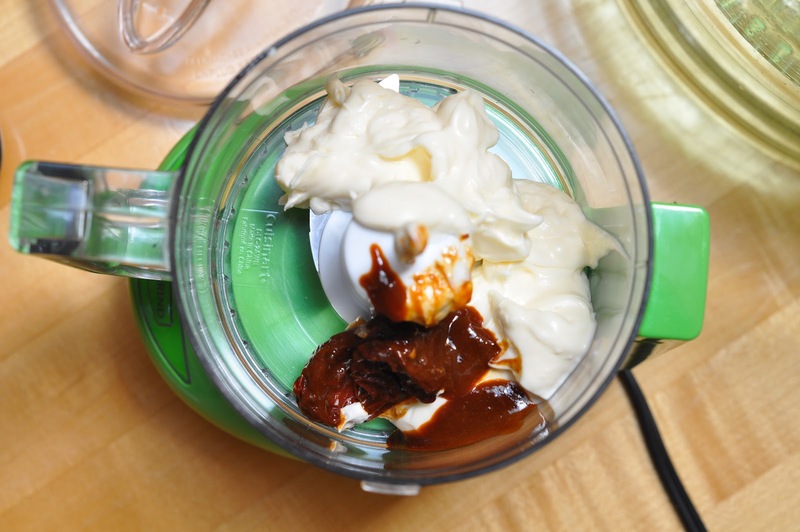 Add the mayonnaise, chipotle and adobo sauce to a food processor and puree. Squeeze on some fresh lime juice to taste, and then add some salt and pepper to taste. I added a pinch of salt, but didn’t use any pepper. Time saver tip: You can make this sauce ahead of time and refrigerate it till needed. Place the burger on a mini brioche bun (that is what we like to use) and top with chipotle mayonnaise, and any other desired toppings. I’m looking for some good summer reads to sink my teeth into while I chill out by the pool. My genre is science fiction and historical fiction. Here are some of my favorite past reads so you can get a clue as to what I like. The Twilight series, (sorry, I read this series years ago and liked it). Harry Potter, Hunger Games, the True Blood series, 11-22-63, by Steven King, the Game of Thrones series & Gone with the Wind. As you can see, I like young adult science fiction as well as historical fiction. I have also read tons of Henry VIII books, so I have finished that genre. So funny – you and I are on the same page! LOVE the hipotle mayonnaise – really takes it to new heights – great recipe – and happy summer! 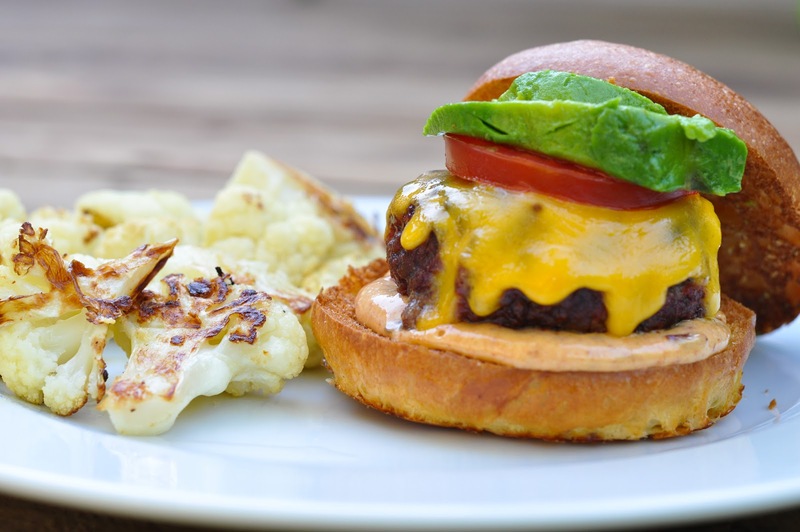 The burgers look amazing… I really need to give buffalo a try. The chipotle mayo sounds fantastic. I liked the Twilight & Harry Potter series’ too. Try reading Water for Elephants – it’s a great book. Hi Pam! I read Water for Elephants and saw the movie. So good! Great suggestion. Hi Tricia. I loved the Help and the kids actually watched the movie with me recently. They really loved the movie and got into the characters. There was not a dry eye in the room at the end of the movie. Did you ever read the Red Tent? or the Time Traveler’s Wife? Not really historical fiction (unless the 1930’s is historical) but every summer I read A Tree Grows in Brooklyn by Betty Smith. Love this book. 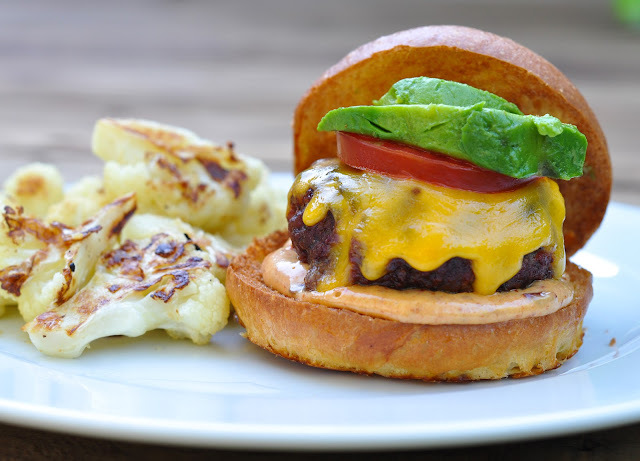 Oh I am craving a burger so badly now – as much as I love winter comfrot food I think summer food (BBQs, ice cream!!) is probably my favourite. I love chipotle anything as well. We recently made some wasabi mayo (so good!) but I definitely need to give this a try super soon! Hi Em! Wasabi mayo, send me the recipe. John would love that. I know, you poor thing! Just wait till Summer gets involved in sports. Life will be even crazier. My mother loves Dorothy Dunnett, who writes historical fiction. She’s written lots of books, so, if you like her, it should keep you busy for awhile. David Liss writes somewhat trashier novels set in earlier times in Europe. Thanks for the recommendations Sharyn. I will see if my library has any of her books in. Can’t wait to sink my teeth into some good summer reads.